People often ask how I got involved in knifemaking. 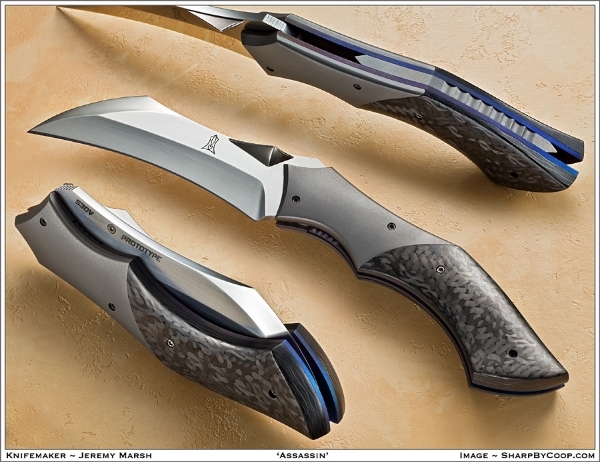 I have always carried a pocket knife, and have always been intrigued and wanted to own a custom made folding knife. I started making rings from titanium for friends and family, and in 2003, my dad came home one day from work with a couple issues of Blade magazine. 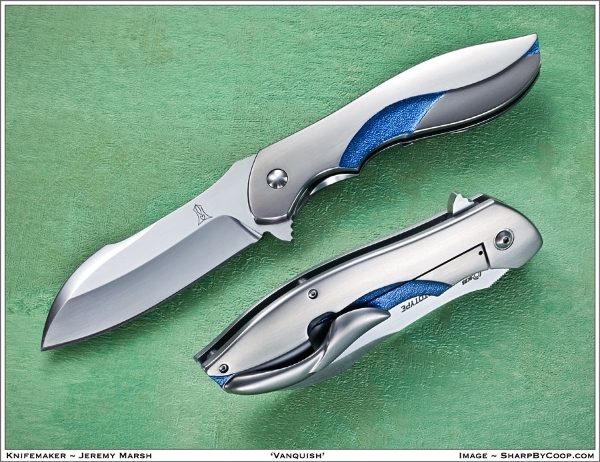 After a couple days of paging through the magazines, I was on the phone ordering materials for two folding knives. After tearing apart my Benchmade to get the general idea of how these things work, and multiple E-mails to David Broadwell (who took the time to answer every question I had in great detail and who I still owe an extra large 120 oz. half diet half regular big gulp) for pointers, I built my first two knives. These two knives ended up being Christmas gifts. The knives went to my Dad and my Father-in-law. I have been an addict ever since. I live in West Michigan with my wife Jennifer, our daughter Peyton and our dog Petra. I am a third generation Die Maker, a position I still hold. Jennifer is a Kindergarten teacher and my right hand at knife shows. My little girl is now five years old, and I believe she’s at just about the right age to become my first apprentice. Hobbies of mine incude minibikes, mountain bikes, bmx bikes, skateboards, snowboards, or anything that ends with “board” shooting sports of all kinds, brewing beer and all things fast. Customization of anything truly interests me. Be it cars, bikes, firearms or anything someone takes and changes to make it cool and different. Some of the custom work I see people do truly blows my mind, and inspires me to reach deeper into the ozone of customization.